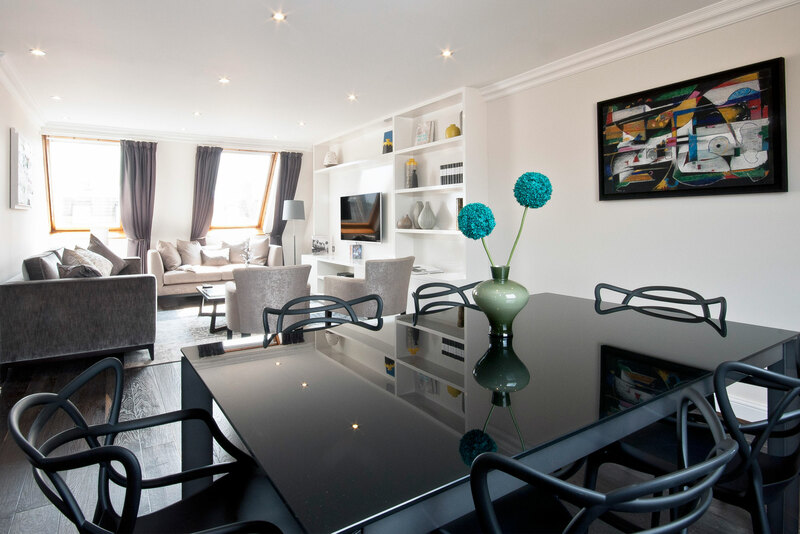 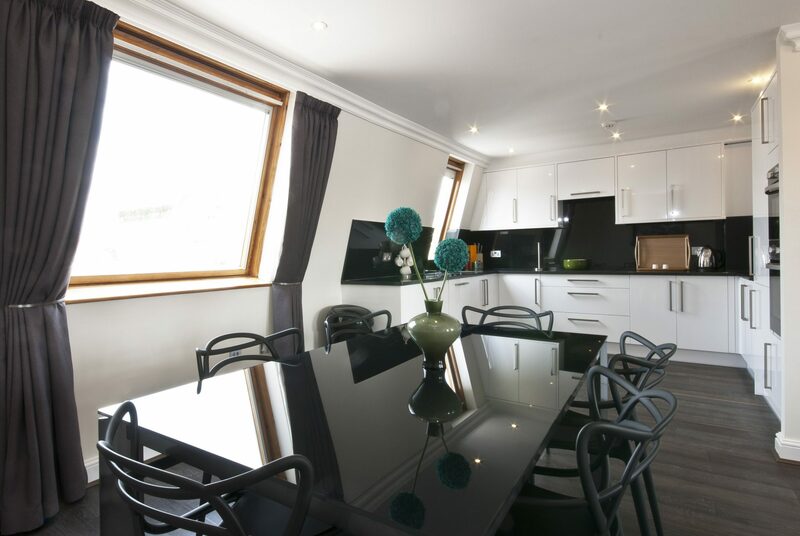 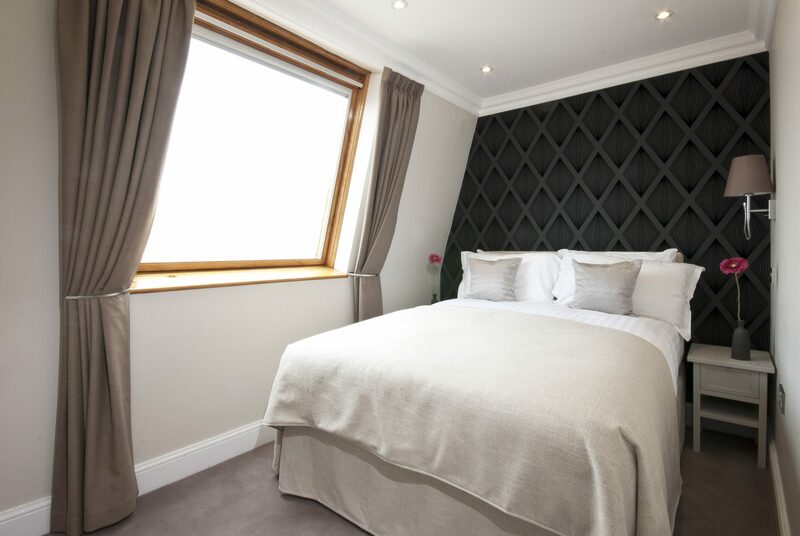 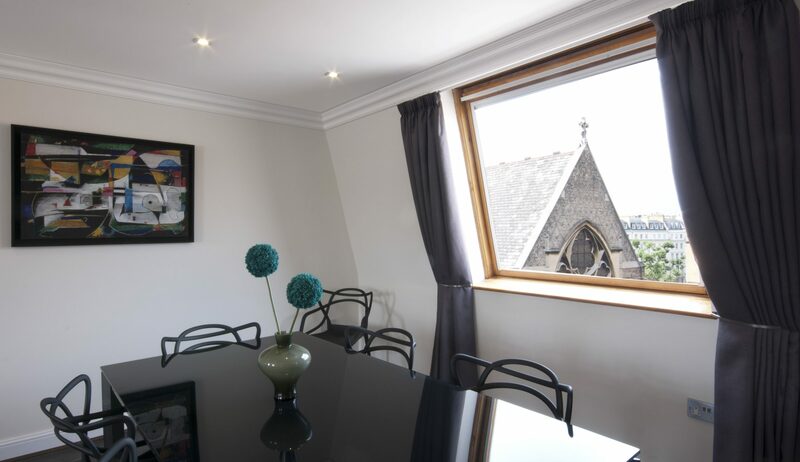 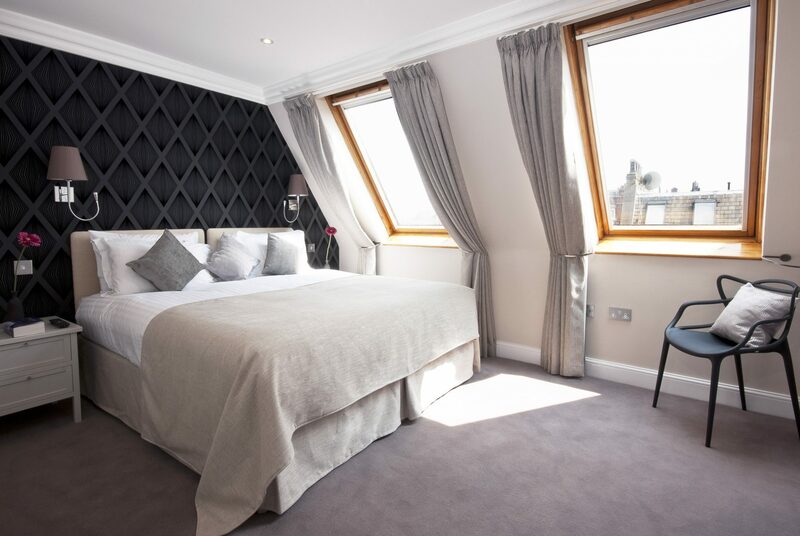 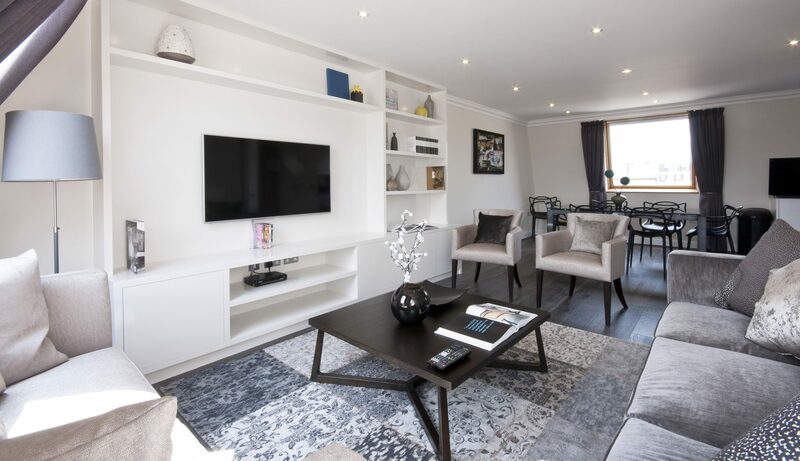 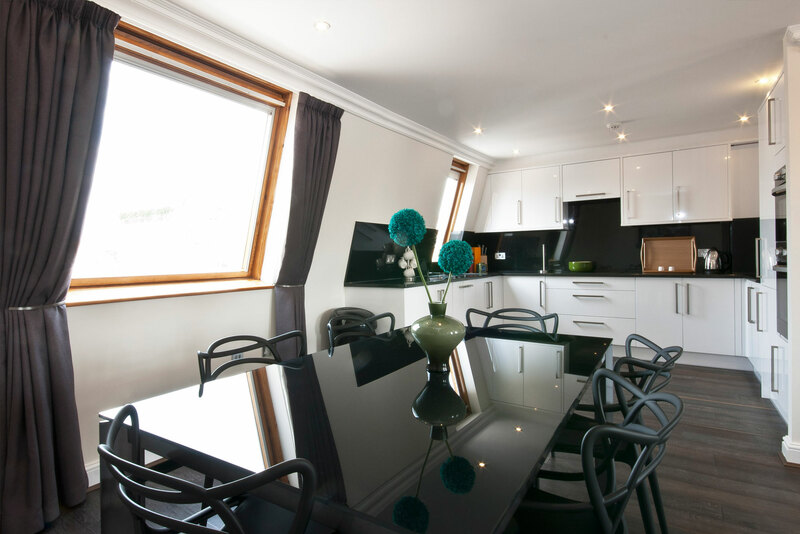 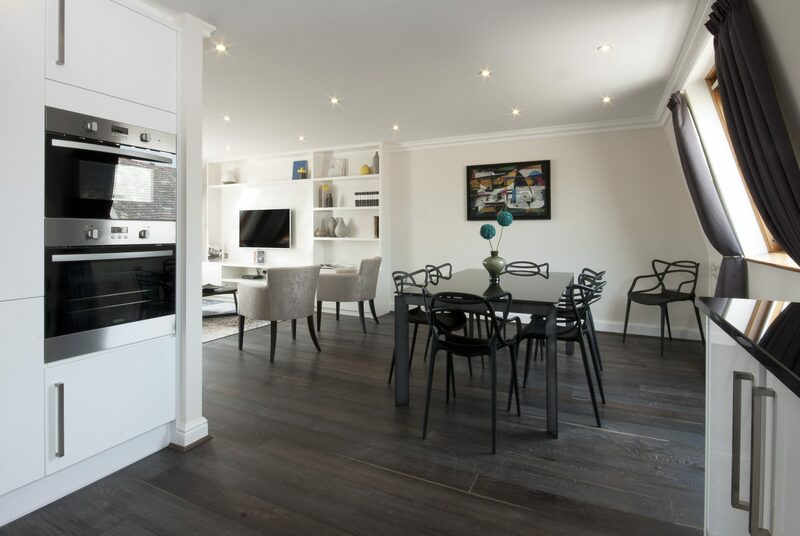 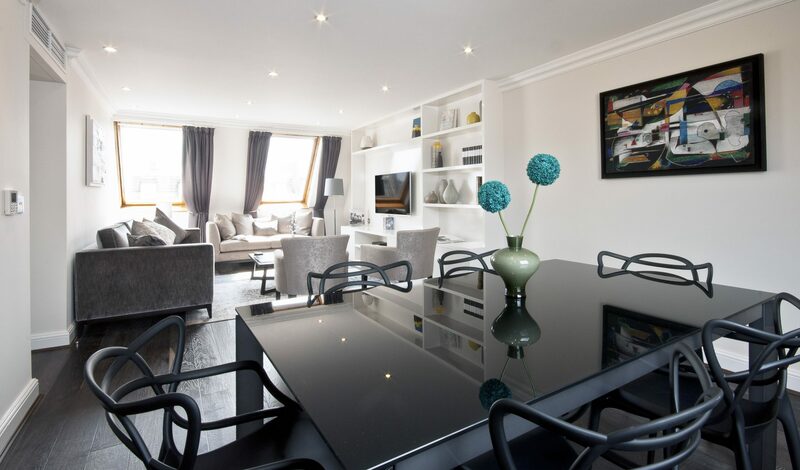 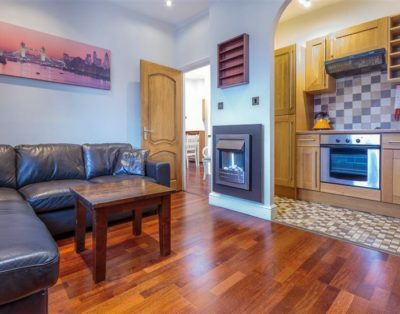 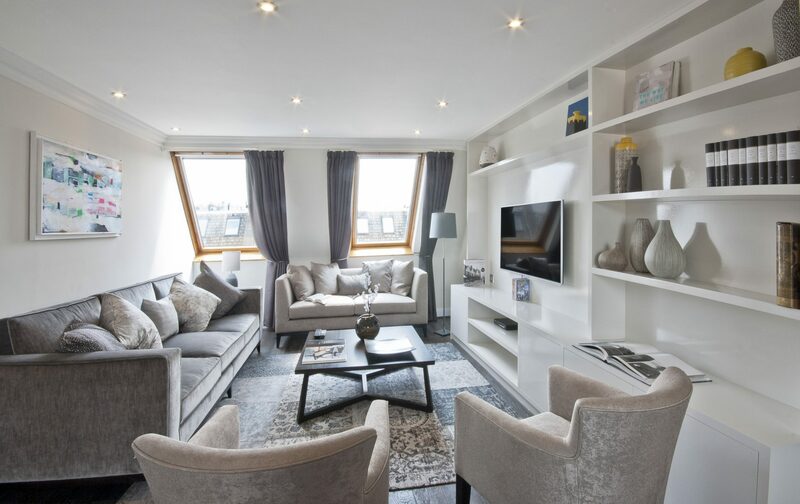 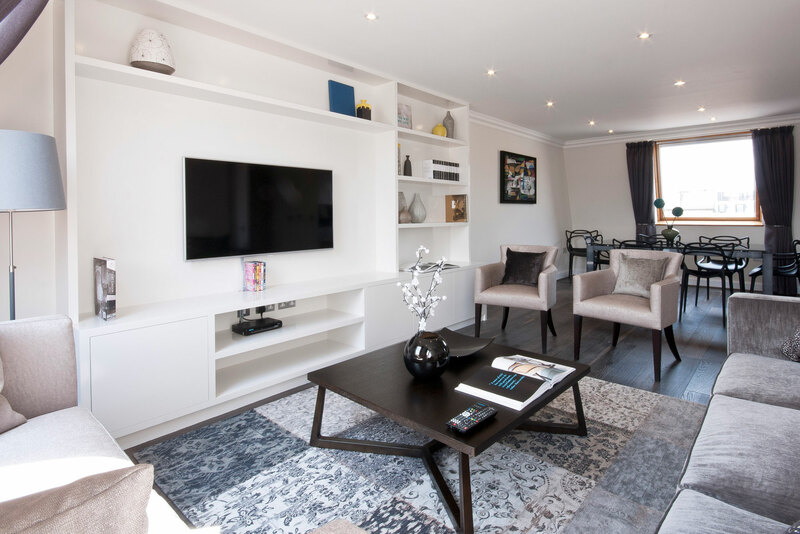 Three Bedroom Suite located on the top floor featuring a spacious Living/Dining area fitted with premium audio-visual system including TV/DVD with satellite, cable and Freeview channels. 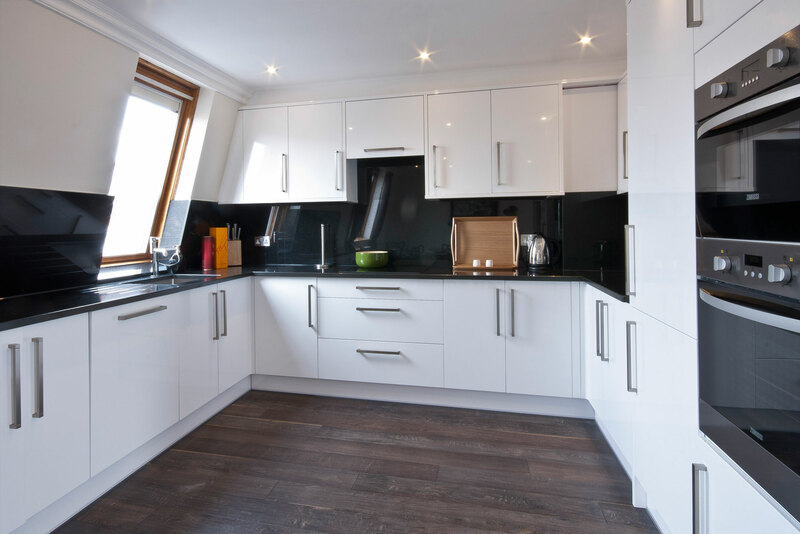 The fully-equipped Kitchen is fitted with all modern appliances including washing machine/dryer. 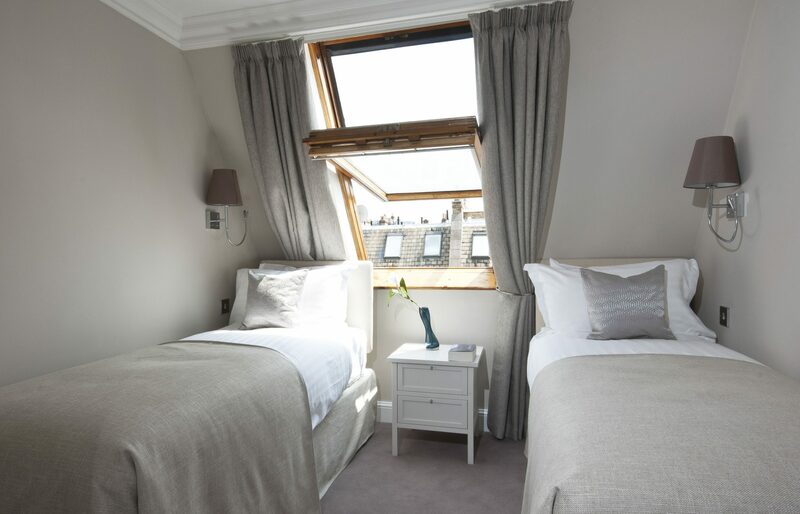 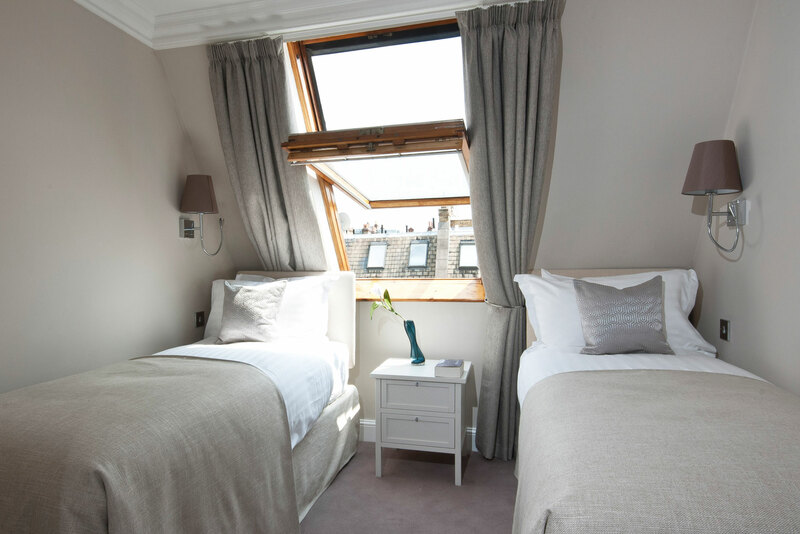 The Bedrooms are fitted a King-size bed, Queen-size bed and twin beds (an additional child’s bed can be provided, if required) and there are two Bathrooms with bath and power shower. 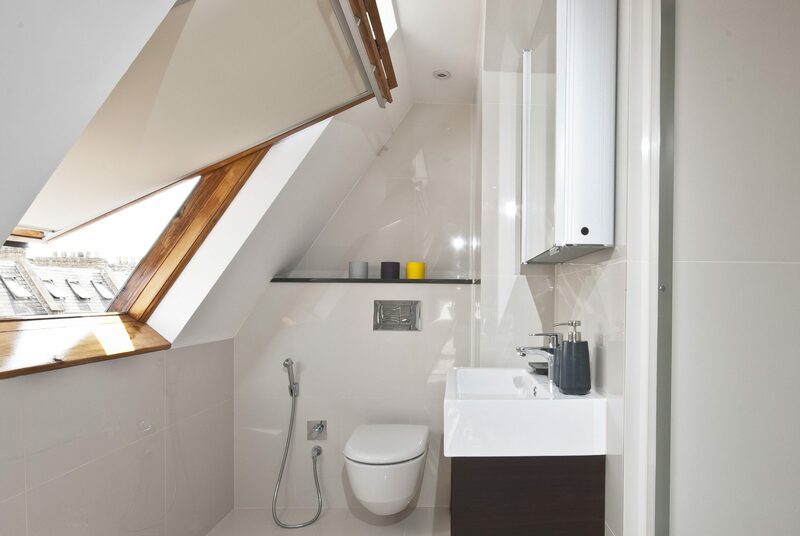 Private lift entrance is available for extra privacy. 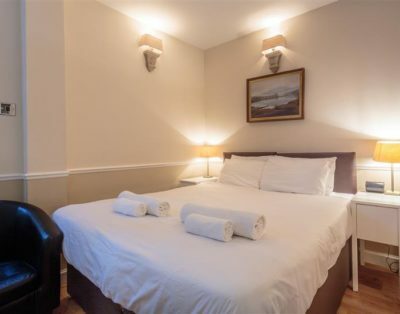 Extra People: Max Occupancy 7 Adults. 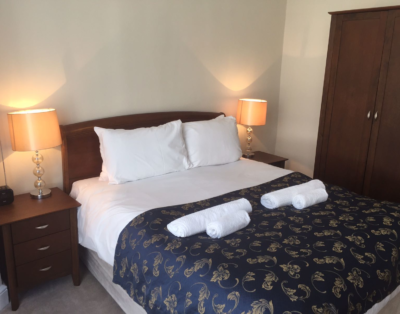 Add 7th guest when booking for 7 guests.